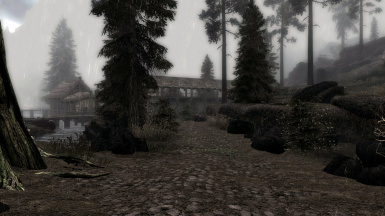 This mod retextures the rain effect that appears during bad weather in Skyrim. It also adds a version with a ESP to give the 3 rain types their own texture. 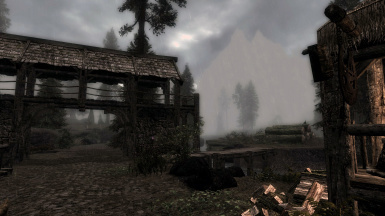 This mod retextures the rain effect that appears during bad weather in Skyrim. 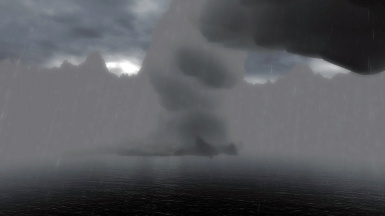 It also adds a version with a ESP to give the 3 rain types their own textures. Heavy, medium and light rain. 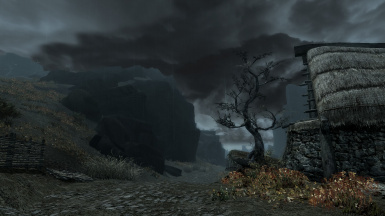 If using a weather mod load the ESP below it. 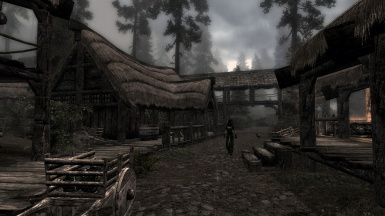 I have tried to make the rain look less like the vanilla lines which they called rain. I have made them appear to be reactive with the environment by making them seem like they are reflecting light which they are not because they are a texture and shader effect and there are no meshes or normal maps involved. This is the best I can do because I do not know how to manipulate shaders. So I hope you enjoy the effect. Many thanks to hodilton for this brilliant video. This will not be compatible with other mods that change this texture. 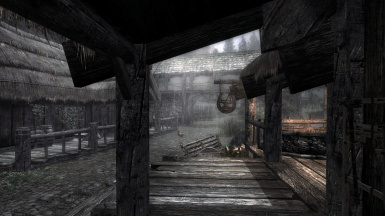 Compatible with all weather mods and ENBs. I have added a greyscale version, should your weather mod or ENB bring out the colours too much or you simply don't like the colours. version 2.0: Updated texture to have smaller drops and are more translucent. This version doesn't need any extra toned versions because the colours are not so vivid, many thanks to Octopuss for his constructive criticism (If he criticises your mod, go with it and then give him kudos and say thank you). Added a texture that should go better with Real Shelter. With the mesh being a vanilla one and used for other effects, I didn't want it to make other things look odd so the effect isn't exact to the falling rain but matches better. 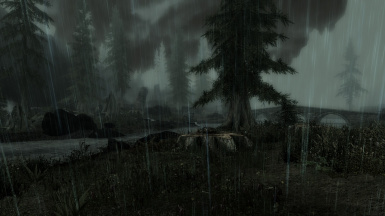 version 3.0: Included a ESP to give each 3 types of rain their own textures. 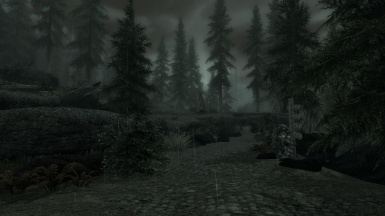 Updated texture so one version will cover vanilla, ENB and weather mod lighting.